Your TV listings may identify it as a crime series, but make no mistake: Crazy Like a Fox is a comedy. 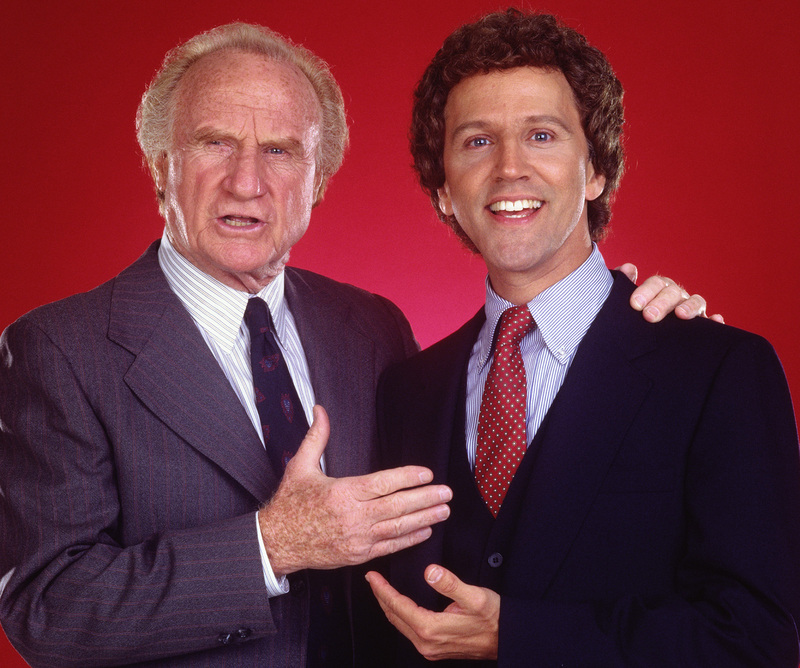 Sure, the mid-1980s hit about an old coot private eye (Jack Warden) and his uptight lawyer son (John Rubinstein) has the same storytelling structure as every other “Mystery of the Week” show before or since. But Crazy Like a Fox has something the others don’t: laughs. It’s like an hour-long sitcom that just happens to include an occasional dead body. I mean that in only the best way. And you can see what I’m talking about on Sunday, March 12 when getTV brings back this never-on-DVD gem for a six-episode binge. Warden is Harrison “Harry” Fox, a sixty-something P.I. with a collection of Runyonesque supporting characters and a San Francisco office straight out of Spade and Archer. Rubinstein is Harrison Jr., an upscale attorney who inevitably gets dragged into his father’s low-rent cases. Also along for the ride are Penny Peyser and Robby Kiger as Harrison’s wife and son, Robert Hanley as a cop, and Della Reese, who makes a few appearances as a nurse who aids Harry in his less-then-legal investigative techniques. Reese and Warden have terrific chemistry and their scenes together are some of the most delightful in the series. Co-created by sitcom-writing duo Roger Shulman and John Baskin (Three’s Company, The Jeffersons, Good Times) and action writer/producers George Schenck and Frank Cardea (NCIS), Crazy Like a Fox was a rarity in 1980s primetime. While other episodic mysteries of the era had a light tone, very few found their star Emmy-nominated for Outstanding Lead Actor in a Comedy. Warden was nominated in both of Crazy Like a Fox’s two seasons on CBS, losing to actors in traditional situation comedies: Robert Guillaume for Benson and Michael J. Fox for Family Ties. By the mid-1980s, Warden’s comedy credentials were well-established. His three-decade career as a character actors had already included Oscar noms for Shampoo in 1975 and Heaven Can Wait in 1978, as well as a two-season stint as the lead in CBS’s spinoff of The Bad News Bears. But Harry Fox was the role Jack Warden was born to play. The character was written for him, with Warden and Harry sharing personal biographies (including their military history and an endless litany of journeymen jobs). And though Warden was 64 when the series began – and had survived a shattered leg during the D-Day Invasion – Crazy Like a Fox has more than its share of action, often with an over-the-top slapstick component. (Warden runs more in one episode than I do in a week). Crazy Like a Fox was an immediate smash when it debuted in December of 1984, scoring the kind of ratings that would make The Walking Dead eat their brains out today. It was a well-earned victory for Warden who finally had the hit he deserved, but it was short-lived. After a season and a half as a Sunday night staple, Crazy Like a Fox bounced around the schedule (up against Dynasty and The Coby Show) and Harry Fox finally met a villain he couldn’t outsmart: the network programmer. A 1987 reunion film airing in the show’s original Sunday night timeslot nearly matched the performance of the pilot three years earlier, but the series did not continue. Warden went on to success in three Problem Child films, but Crazy fans never stopped missing our favorite Fox. Now, thirty years later, that wrong has been righted. For one delightful night, Crazy Like a Fox will be back on Sunday where it belongs. Harry Fox is on the case again, thanks to getTV.